Elk River, Minnesota (June 23, 2014) – Holeshots, turn one tangles, marbled berms, heavy roost, and finish line podiums…it sounds like another perfect race weekend, and for Carlson Motorsports professional snocross driver Andrew Carlson, it was. With last winter’s amazing podium streak in the rear view mirror, Carlson is intensely focused on the snocross season ahead, and in preparation, Andrew has been honing his entire skill set. Off the track, a dedicated workout and nutrition regiment has Andrew on pace to be one of the most physically prepared athletes when the season commences in Duluth, Minnesota. Complimenting the program is a summer season filled with on track, side-by-side competition to keep both the competitive fire lit, and the mind sharp. 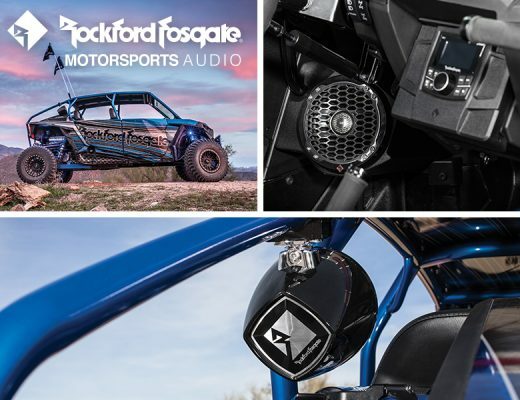 With a win on his home track during the kick-off to the ERX Motor Park Beatercross series in early June, and a first and second place finish at The Off-Road Championship (TORC) series side-by-side class in Bark River Michigan; Carlson has picked up where he left off last winter…atop the podium. The Bark River TORQ event was the first one to include a side-by-side class, but according the Carlson, it will become a regular feature going forward. 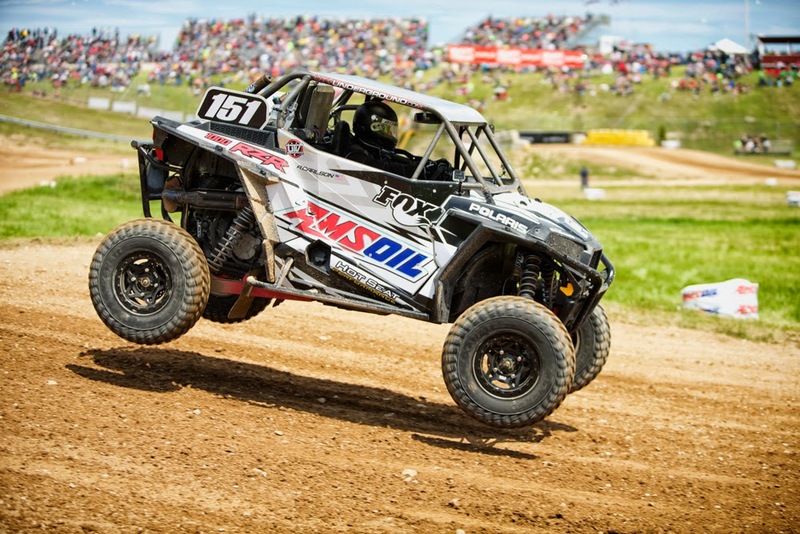 With a taste for the TORQ series, Carlson plans to campaign his AMSOIL Polaris RZR XP 1000 at as many upcoming events as time will allow. Despite a rigorous training schedule and considerable time commitments as he pursues his business management degree, Andrew’s plate if full but his thoughts are never far from the race track. Andrew will return to the track on Thursday, June 26, for round two action at ERX Motor Park in Elk River. 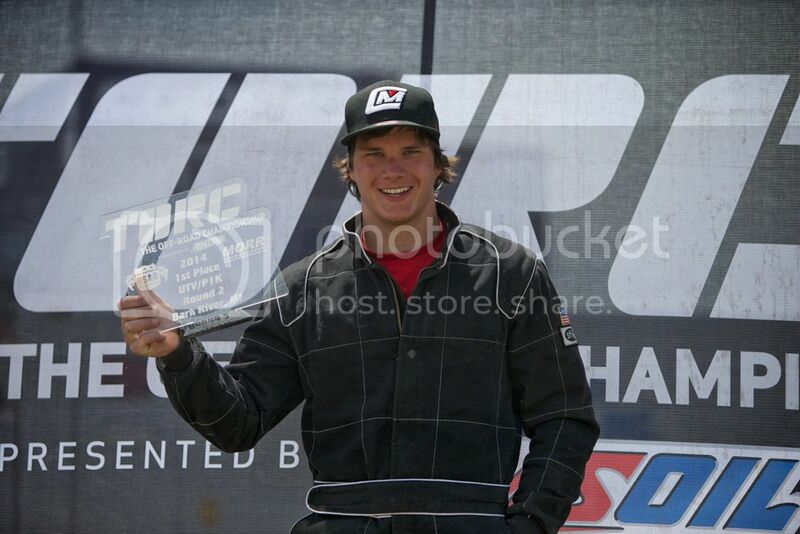 Then it’s on to Crandon, Wisconsin for the TORQ series Big House Brawl. You can stay abreast of all the happenings at Carlson Motorsports through their website www.carlsonmotorsportsllc.com or follow them on Facebook. You can also follow Andrew Carlson via Twitter @151Carlson. Different season, different buggy…same results, another podium.